How much is Hamdan bin Mohammed bin Rashid Al Maktoum Worth? 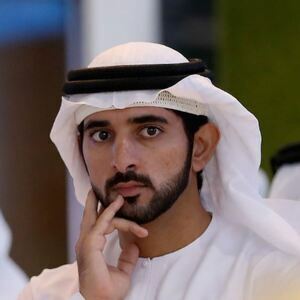 Hamdan bin Mohammed bin Rashid Al Maktoum net worth: Hamdan bin Mohammed bin Rashid is the Crown Prince of Dubai, United Arab Emirates and has a net worth of $400 million. Hamdan bin Mohammed bin Rashid was born in Zabeel Palace, Dubai, United Arab Emirates in November 1982. He publishes poetry under the name Fazza. Hamdan bin Mohammed bin Rashid was coronated as the Crown Prince of Dubai on February 1, 2008. He is the son of Sheik Mohammed bin Rashid Al Maktoum and Sheikh Hind bint Maktoum bin Juma Al Maktoum. He studied in the United Kingdom and attended the London School of Economics. In 2006 he became the chairman of the Dubai executive council. Hamdan bin Mohammed bin Rashid was appointed president of Hamdan bin Mohammed Smart University in 2009 and is the head of the Sheik Mohammed bin Rashid Establishment for young entrepreneurs. He is also a horse rider who represented the United Arab Emirates in equestrian events at the World Equestrian Games where he won gold medals in 2010 for team endurance and in 2014 for individual endurance. Billionaires Buy Sports Franchises. Millionaires Buy Race Horses.